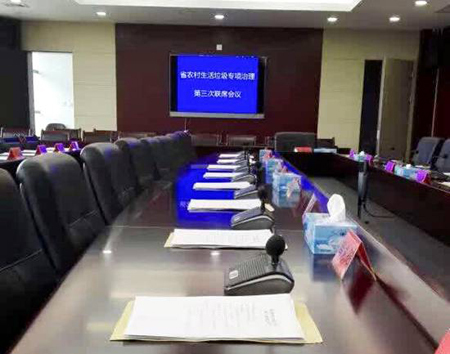 Introduction: Recently, GONSINhas designed a set of modern conference system solution for Jiangxi Provincial party committee Rural Work Department , which not only meets its demand and enriches its conference functionality, but boost its daily conference efficiency. GONINS has devoted itself to researching the customers’ demand, providing the customers with superior conference experience through various solutions. 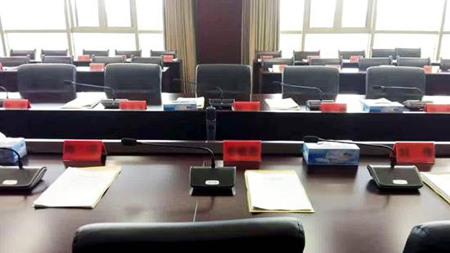 The Rural Work Department of Jiangxi Provincial Party Committee of CPC situates in Nanchang City with its office in the comprehensive building of Provincial Committee. Its main function is to make the work schedule for rural work, to survey the rural work and to guide the rural reform and economic construction. Because of its frequent conferences, it requires a set of reliable and stable conference system to ensure that every conference could be held smoothly. When it was launched in the market, GONSIN 3300 series desktop conference discussion system has been one of the eye-catchers. Gonsin 3300 series desktop digital conference discussion system utilizes electret cardioid pickup pattern microphone to make the timbre rich; resistance to mobile phone has been upgraded, exquisite structure design enables flexible cable connection according to installation environment, making it suitable to various conference venues. 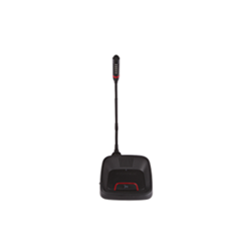 3300 series conference discussion system allows delegates to speak, request to speak and listen to speech. 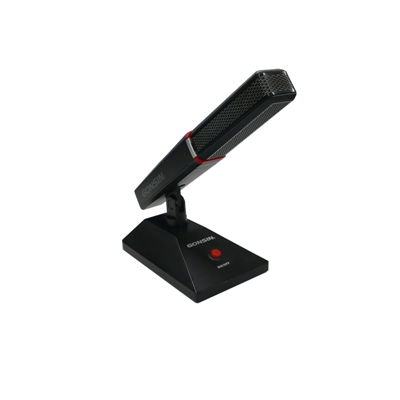 It supports SD/HD camera tracking, which make it possible to be combined in the remote video conferencing system even broadcast television network; the discussion unit has built-in speaker that could amplify the speech in the small conference without any additional sound equipment; the pluggable microphone stems are easy to transport; it supports multiple chairman or vice-chairman units to meet the different conference management demands. As the famous supplier in the audio and video complete conference system solution, GONSIN has concentrated itself in the R&D, manufacturing, sales of digital conference system equipments and conference management software for 13 years. 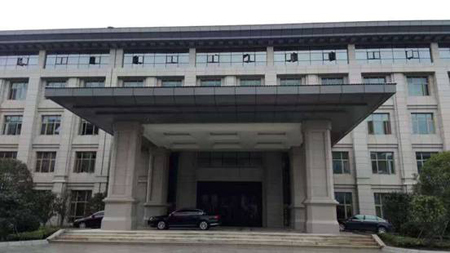 It has cultivated versatile research team in the audio coding and decoding technology, intelligent technology, information communication technology, network communication technology, software technology and chip technology. GONSIN has established long-term cooperative relationship with some well-known research institutes. 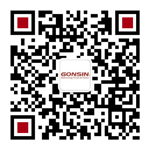 Gonsin not only has the advanced equipments for research, manufacturing and testing, but also has superior industry design ability and complete after-sale service system. With four domestic sales regions, Gonsin has explored the international market and been one of the best suppliers in professional complete digital conference system solution.